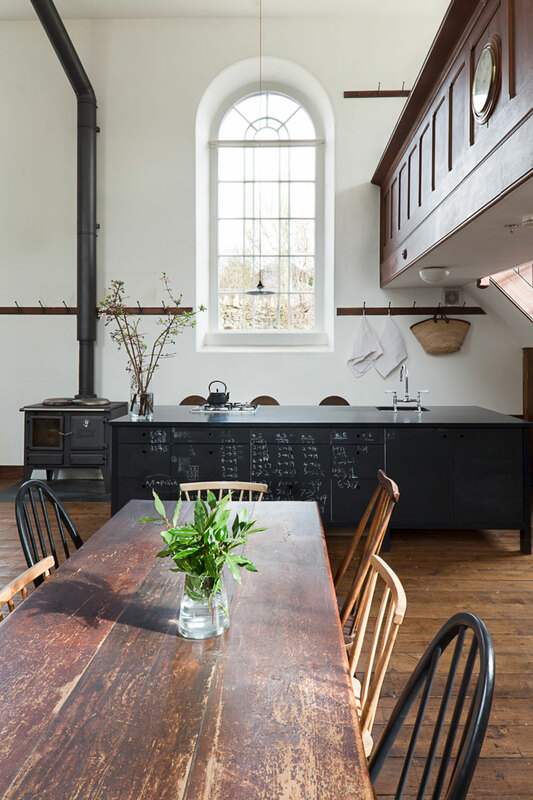 Remodelled & Radically Transformed Old Buildings by Jonathan Tuckey Design. Every so often I come across a real estate advertisement with the teaser: “renovator’s dream…the perfect fixer-upper” to which I generally (and very cynically) read as “house is a dump and most likely a money pit.” Ok, so not the sunniest outlook, but after gorging on the work of , I suddenly have the urge to renovate, restore and refurbish. 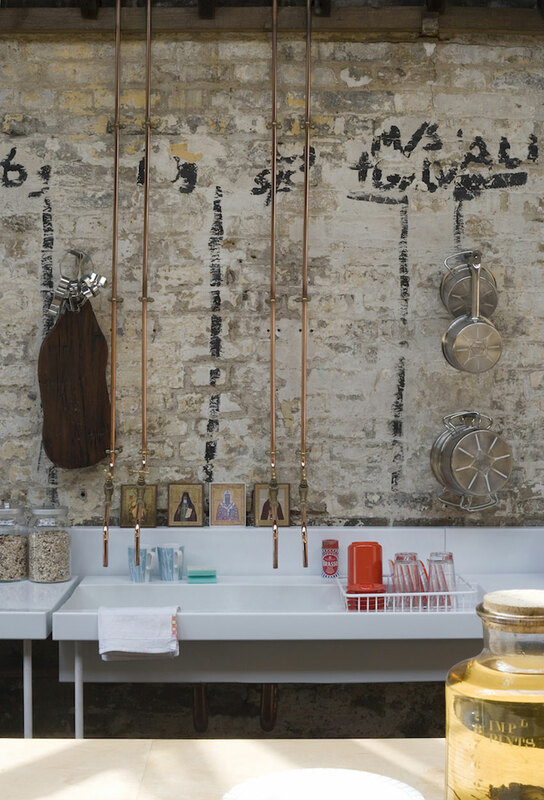 Based in London, Jonathan Tuckey Design are leaders in transforming and adapting old buildings to meet modern needs. 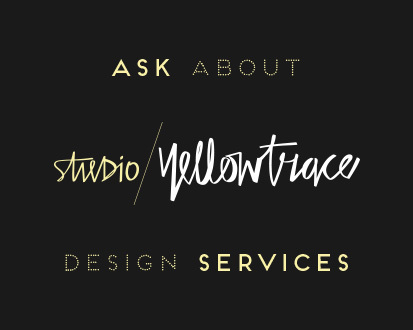 Incredible attention is given to the treatment of old and new where craftsmanship, materials and proportion are pivotal elements of each design. The team use concept models and sketches to explore materials, circulation, light and volumes of space. 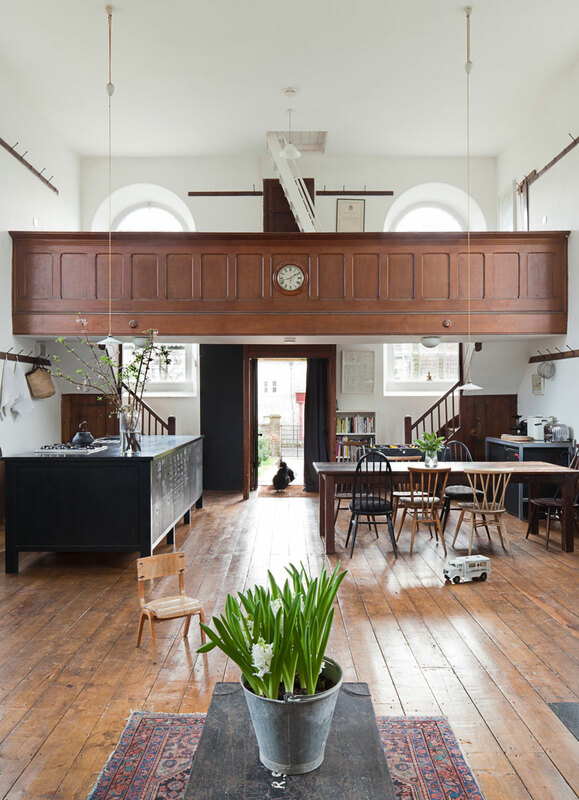 Several of their projects are listed buildings which come with a set of rules that would deter the keenest of architects, yet in the face of strict planning regulations, they’re not afraid of taking risks. 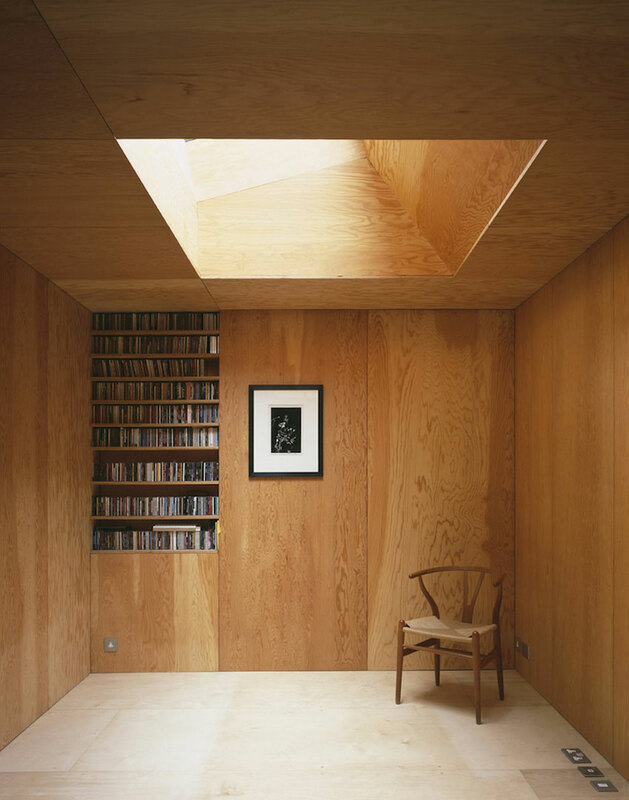 Their spaces are robust, considered and just straight up beautiful. Anyway, let’s tuck in shall we? 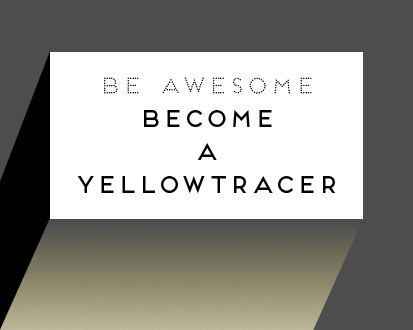 (yeah I went there). Tell me you won’t want to knock down some walls or expose some brickwork by the end of this post! 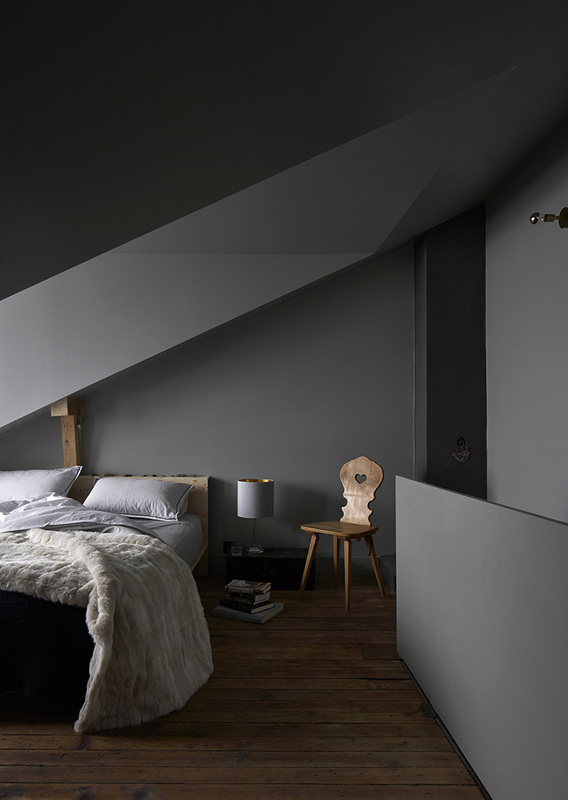 Collage House // Once a steel fabricator’s workshop in the 19th Century, Collage House transforms superbly into a family home. Traces of the building’s original context are apparent with exposed brick and wall markings throughout. 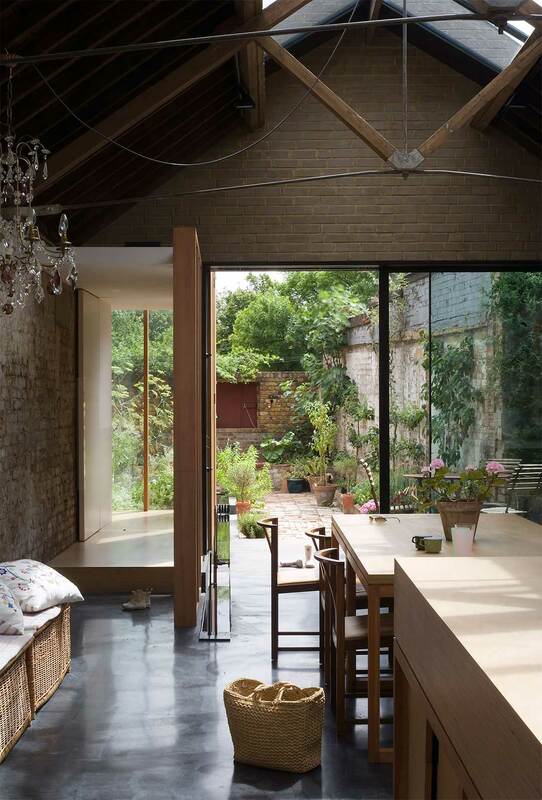 Spaces reveal themselves gradually as the living area unfolds into the kitchen and a tranquil courtyard garden beyond. But hold up everyone, did you catch that fireplace? I might need a minute here. 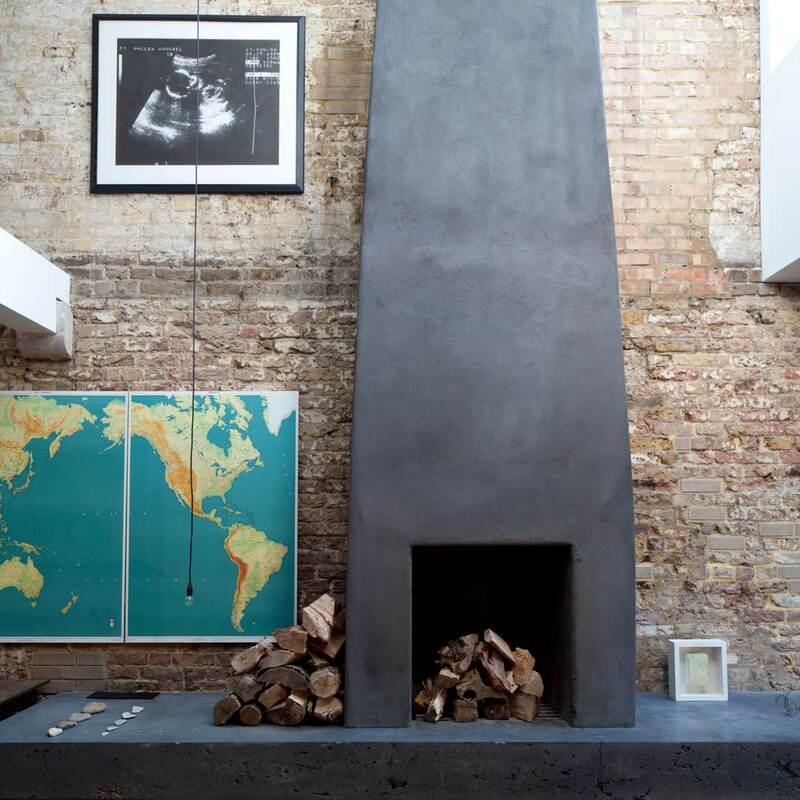 This black beauty is an absolute knockout and contrasts wonderfully with the rough brick and wooden structural elements. 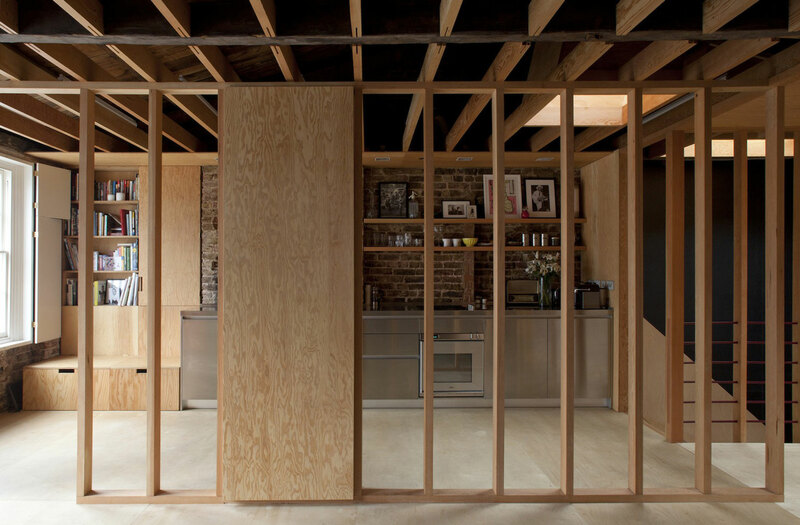 Frame House // This reconstruction of a Mews House for a client, his dog and vintage motorbikes really packs a punch. 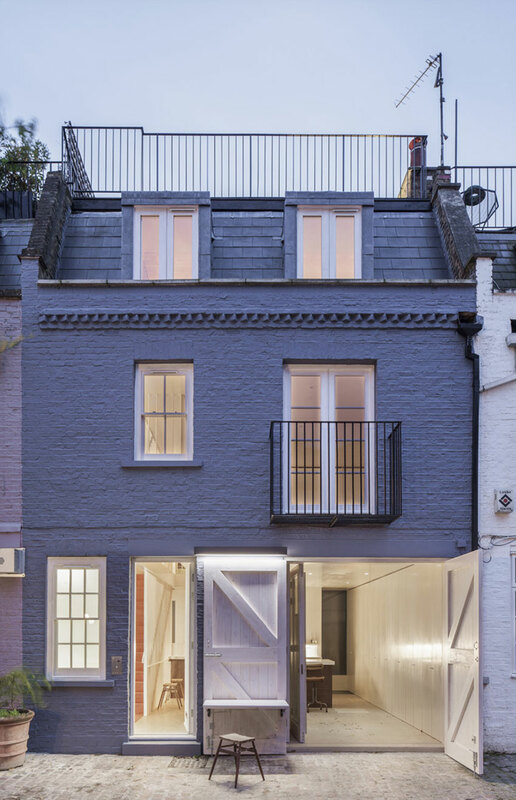 Classified as a Grade II Mews (think super heritage overlays), the architects had to work within strict planning parameters and an open plan was big no-no. 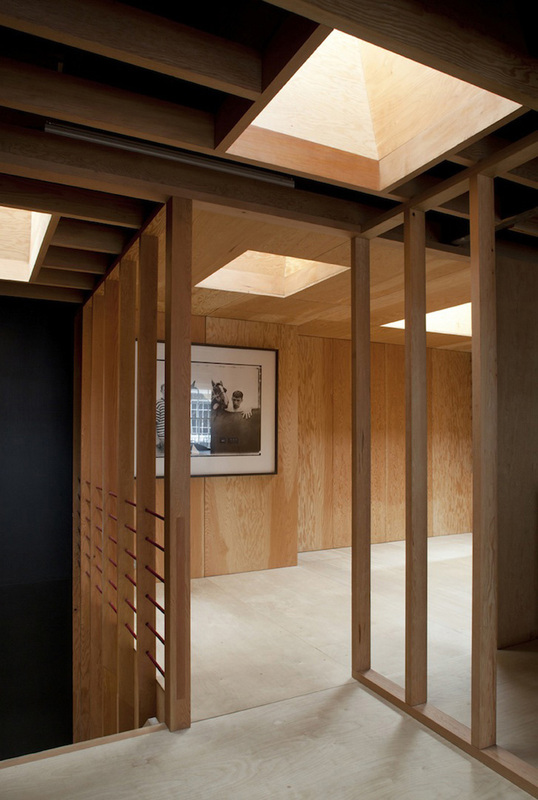 This was cleverly tackled by incorporating studs walls in the place of the original building footprint. 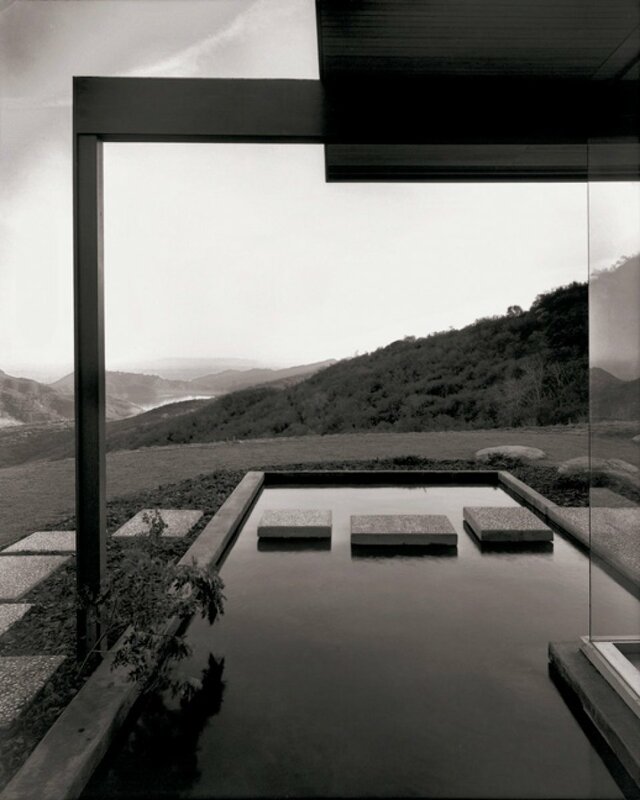 These frames not only delineate space but they also crucially let light from windows and skylights to penetrate deep into the plan. 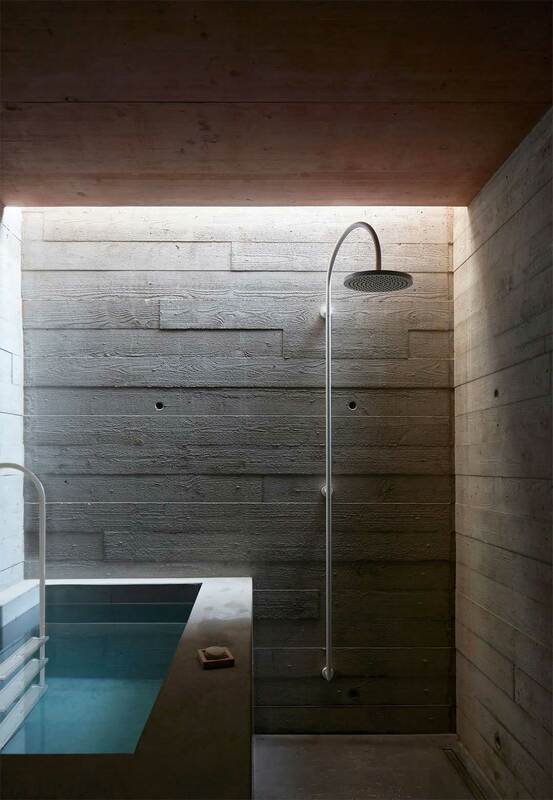 The palette of exposed brickwork, concrete, timber panelling, stainless steel and blackened steel may come across as quite masculine, but there are some softer spaces for contemplation and reflection. Take note fellas because this is a bachelor’s pad that definitely gets my tick of approval. 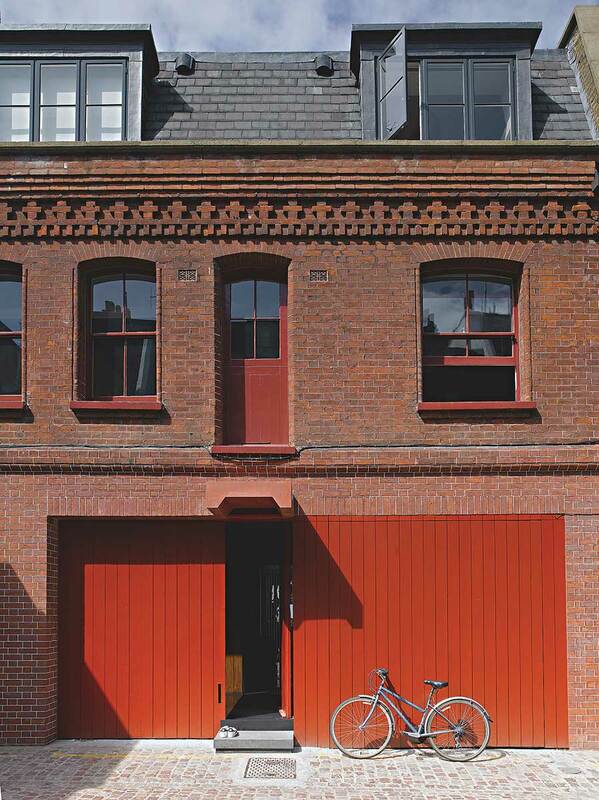 Adam and Eve Mews // Huge fire engine red doors greet you on entry at the Adam and Eve Mews House in Kensington, London. This full strip out and refurbishment brings together a sensual tango of warm and cool elements. 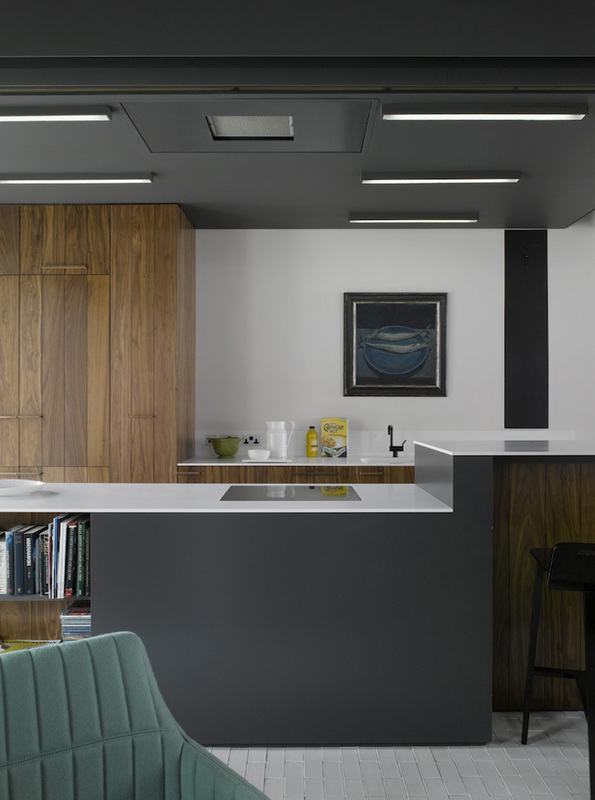 Walnut panelling and lush textiles mingle with high gloss surfaces, glass and unembellished white brick tiling. 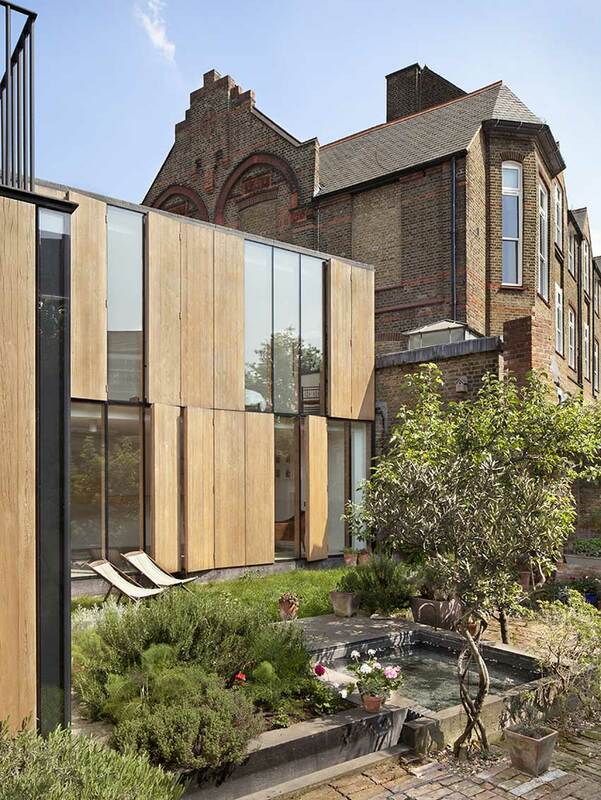 This contemporary conversion plays with volumes to achieve a light filled house with double height entry, rear courtyard, expansive living space and bedrooms tucked away on the top floor. Beach House // My favourite thing about beach houses is that they’re often stuck in a time warp. 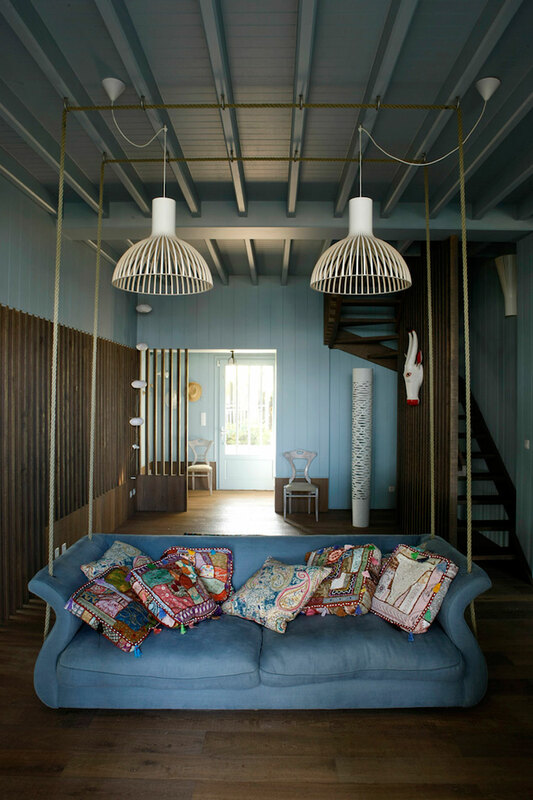 Wicker chairs, mismatched crockery and nautical themed artwork all contribute to the carefree, unpretentious holiday vibe. 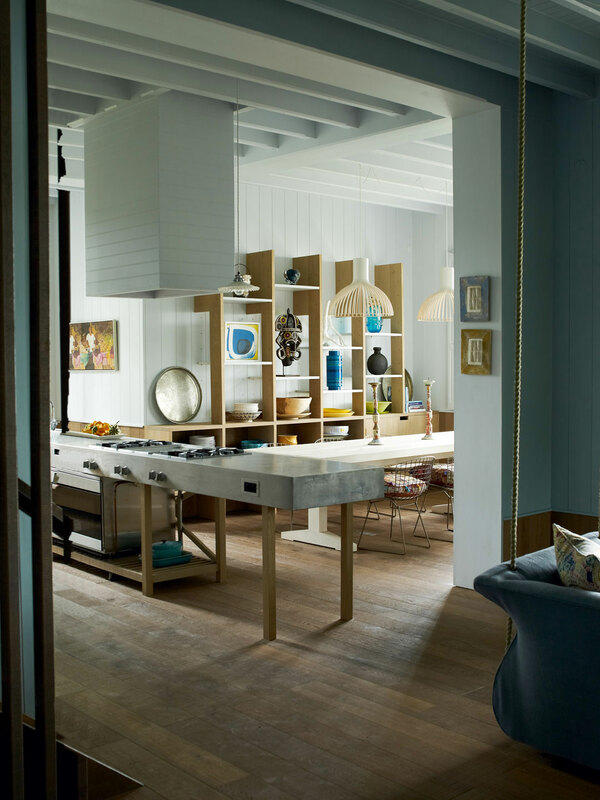 Jonathan’s Tuckey’s Beach House is mix of informal simplicity and quirky personal touches. 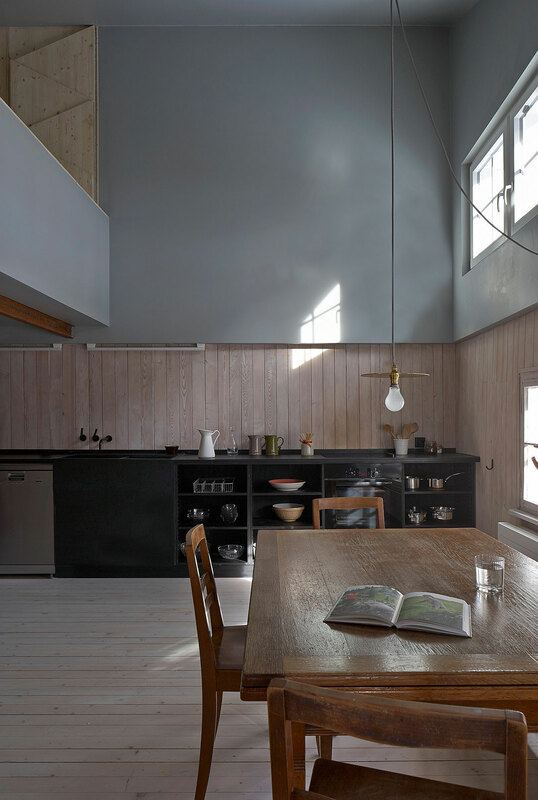 The raw timber batons throughout the house seem to reference boardwalk decking while kitchen joinery is divided by paddleboat-shaped fins. 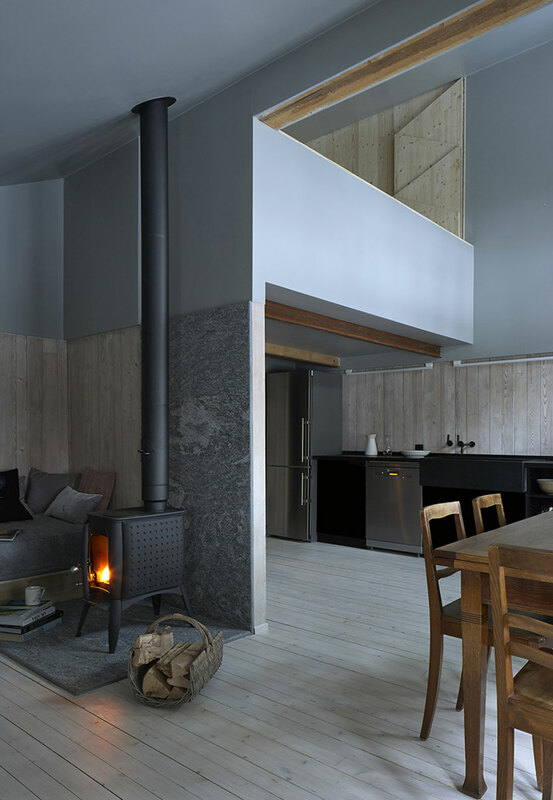 The gracefully ageing materials of zinc, rough oak and painted weatherboard all add to the cosy and humble feel of this holiday treasure. 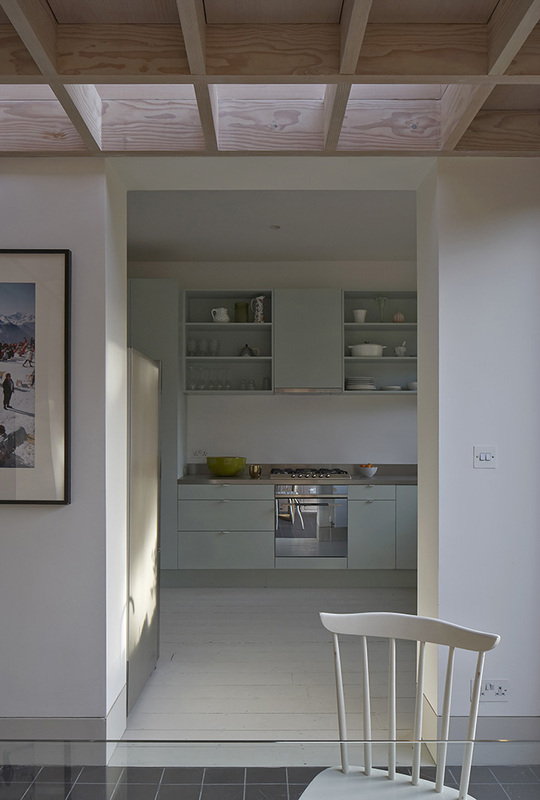 Doyle Gardens // The Doyle Gardens extension opens up the ground floor allowing light from the back of the house to trickle into the internal spaces. 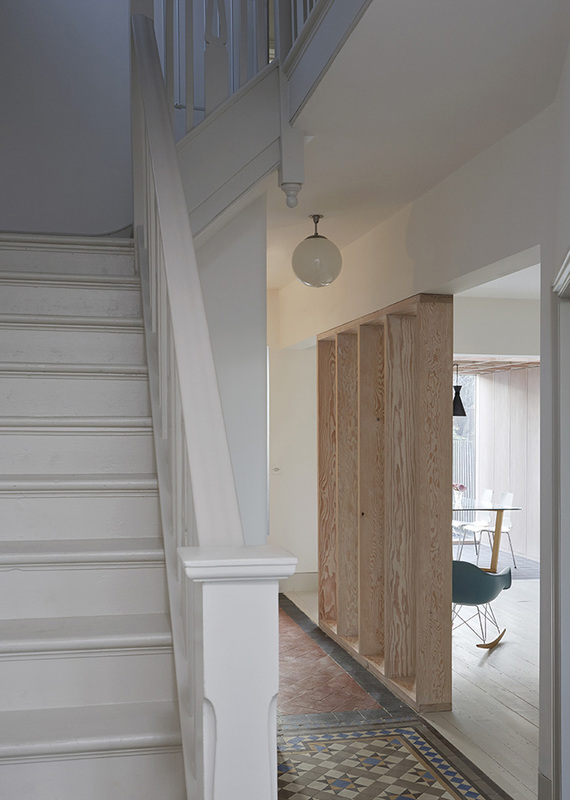 On entry you’re greeted with glimpses of the back garden from the kitchen and dining area. 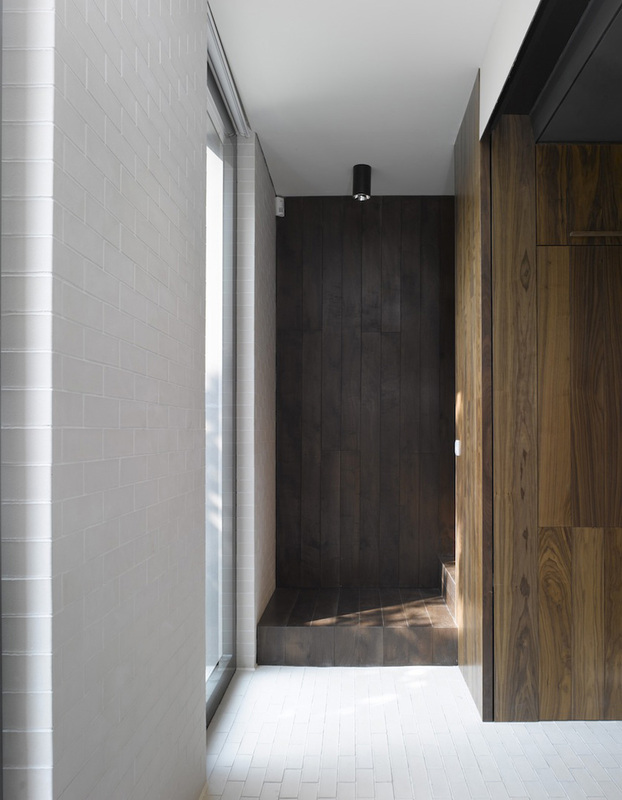 The spaces flow on from each other and transitions are marked by different floor finishes of mosaics, painted timber or square charcoal tiles. 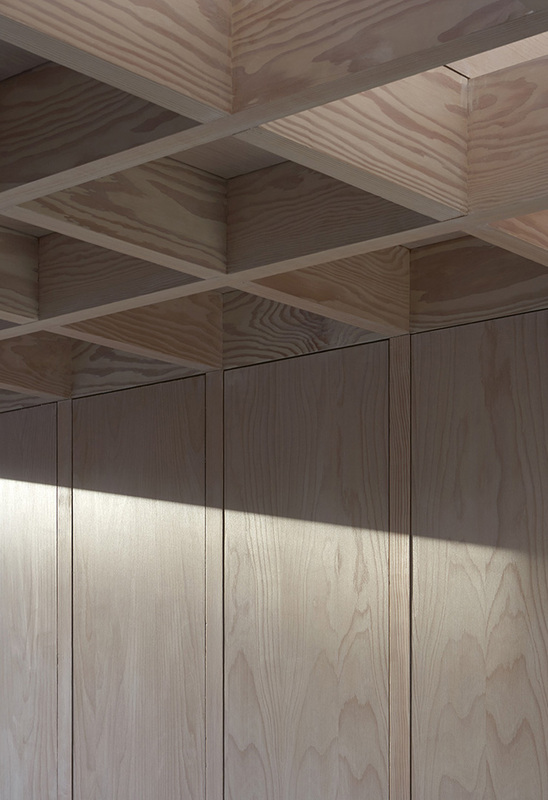 The coiffured ceiling constructed out of Douglas Fir panels over the dining area is just ridiculously good. 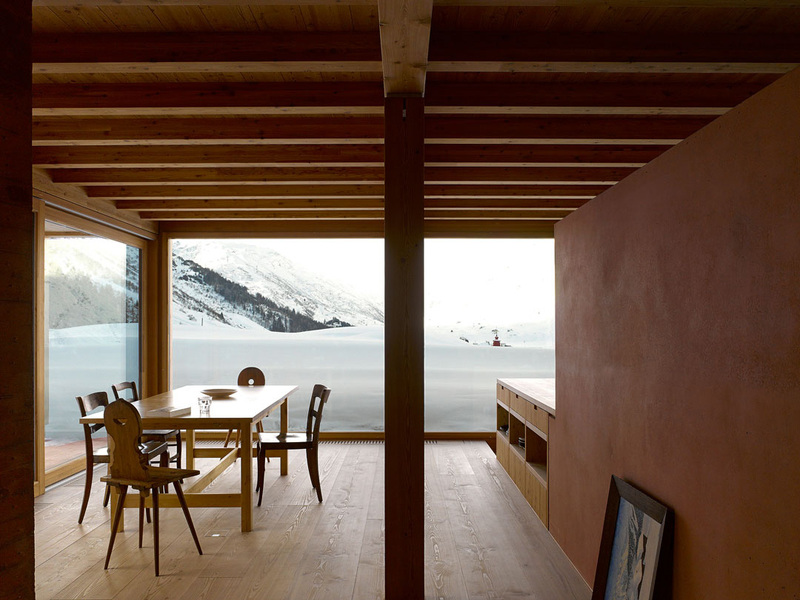 I can’t get over the subtle beauty of the lines that extend down that solid timber wall. Dee-lightful. Shadow House // From the street, there is no trace of the Shadow House which tucks neatly behind the gable roof and high walls of the Wiltshire Chapel family home. 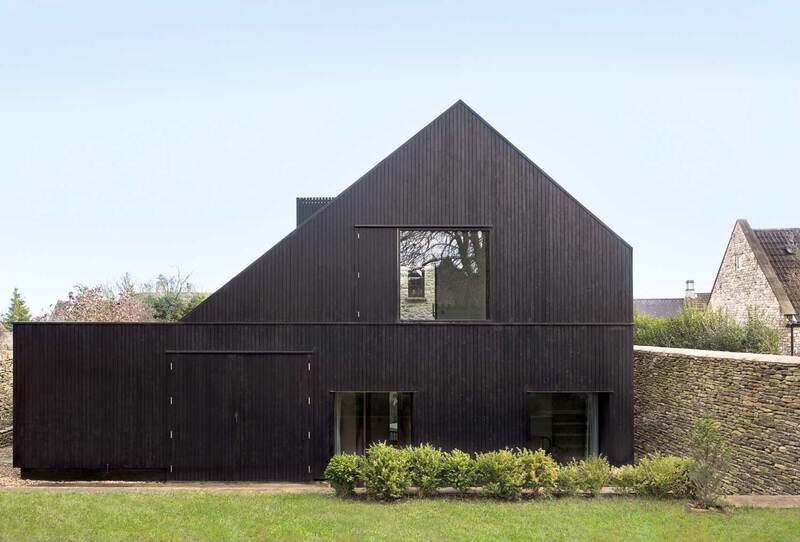 Clad in blackened larch timber, the new extension differs wildly from the original classic frontage but doesn’t feel like an imposing presence. Internally, the original brown timbers marry nicely with bold black elements and it feels cohesive and full of character. Connected by a glass passageway, the front volume contains the living spaces, kitchen and mezzanine gallery while the new structure houses all of the bedrooms and bathroom. Read previous article about this project & see more images here. 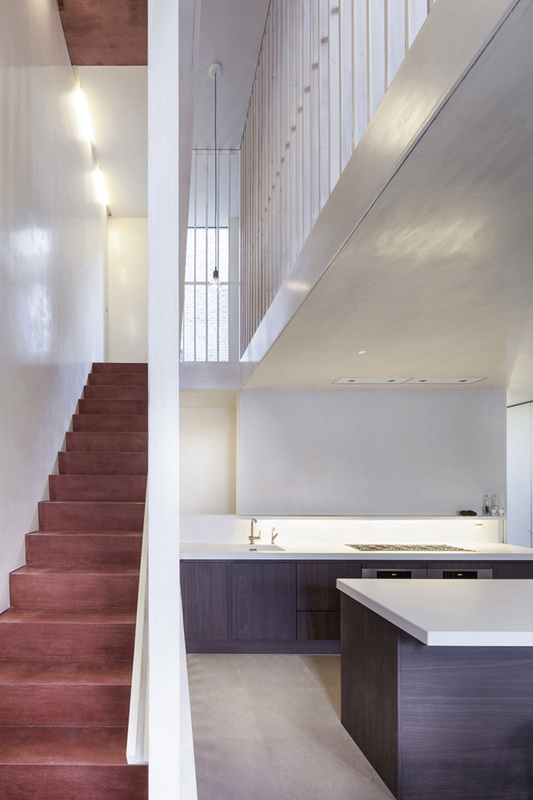 Submariner’s house // The concrete staircase is the central element of the Submariner’s House. 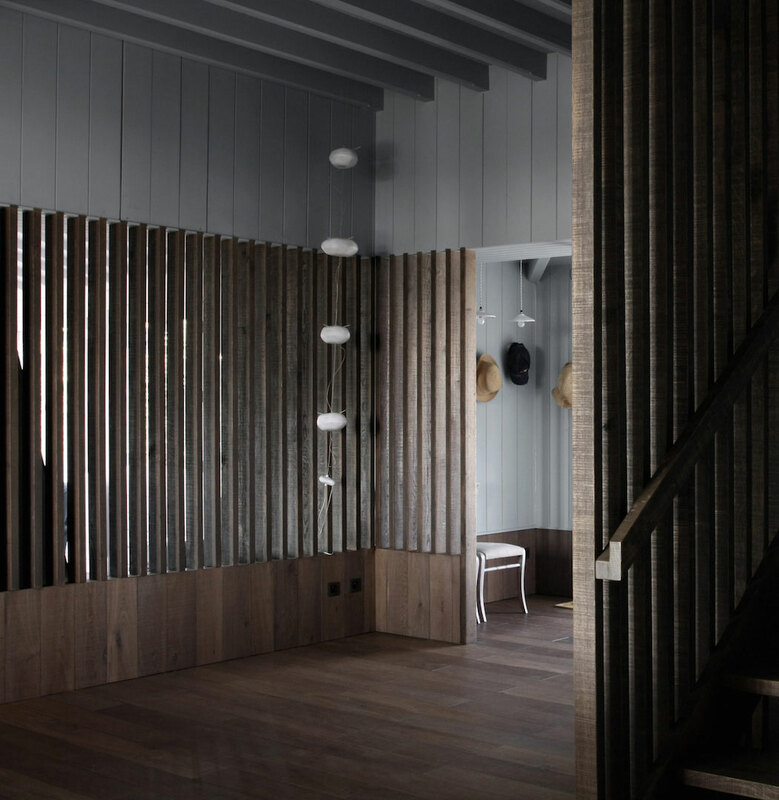 As with Frame house, a sense of expanded space is achieved with the use of the timber lattices which wrap around the stair and act as both a balustrade and permeable screen between rooms. 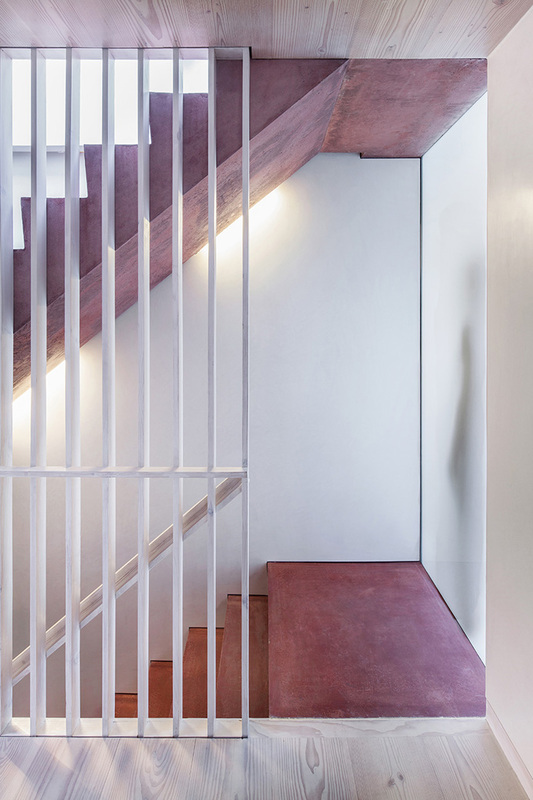 Working with a compact space, the staircase voids between the three levels allowing light to filter through from the roof terrace to the basement. 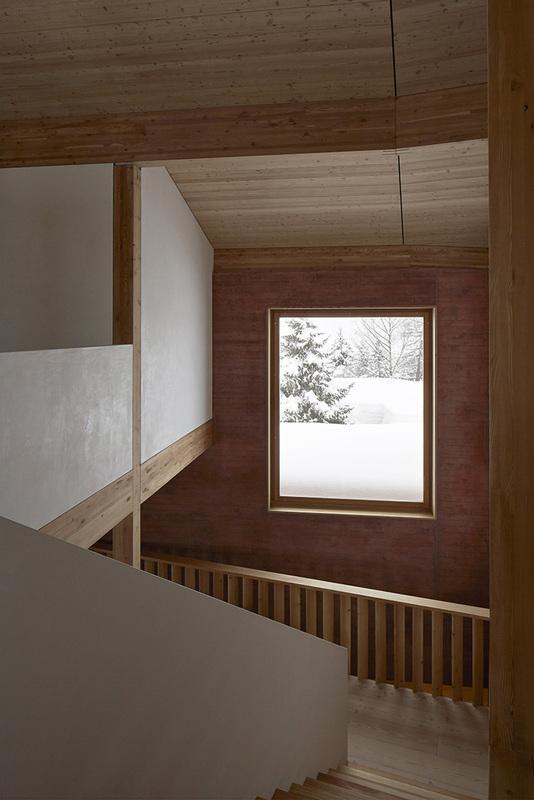 The earthy red-pigmented steps look damn fine as they contrast with white plasterboard walls and Douglas Fir boards. Jewellery For The Face by Akiko Shinzato. Ports 1961’s Sculptural Glass Block Facade in Shangai by UUfie.